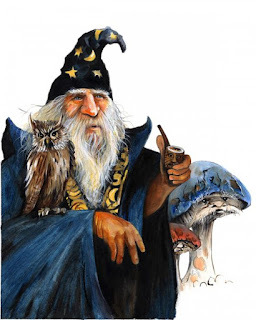 * Something a bit different from my usual run - this is about my work (or at least one of the things I do) and how Wizards and Warlocks are a big part of the digital content/biz website world. 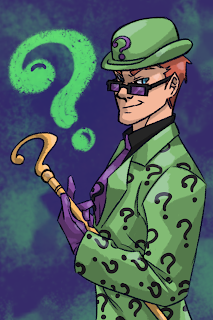 So bear with me as I lay out some truth about digital content, Websites, Wizards and Magic Boxes of Mysterious Mystery. You are in business, selling window-blinds, doll's houses, fountain pens or plumbing supplies. You know you need a website, cool landing page, maybe an e-commerce platform, drop-down menus, snazzy UI interface, the whole nine yards! So what do you do? You find a Wizard. I've been doing a lot of work recently in the area of digital content - from working on copy and content for established sites to getting stuck in at the start up phase, devising content & tone-of-voice, working up the brand-storytelling aspect, populating sites with copy and content - the basic building blocks of an online presence for any business or organisation. It can be very interesting work, and I'm able to call on more than two decades in newspapers and broadcasting to do it. But I am not - sadly - a Wizard. Nor do I know how to build a Magic Box of Mystery. Who are the Wizards? They are the guys who actually build/design the site. Often, the people who want a biz website have little or no idea how you go about actually designing or populating one - why should they? (although they suspect their teenage kids could do it for twenty quid). But they do know it's (probably) insanely complicated, requiring arcane skills, endless hours of dungeon-based toil and magic ingredients ranging from Eye of Newt to Toe Of Coder. So they find a company or individual to design it for them. Now, the good ones will actually explain that it's really not that complex, take the client through a step-by-step explainer and generally try to take the mystery out of what looks like - to many "civilians" at least - like witchcraft. Most of the time - it's not being done to deliberately bamboozle clients - this is just the way most of these dudes talk. And this is not, believe me, a rant against website designers - I'm kind of in awe myself of what they can do - having close to zero technical skills myself. But there is a disconnect. And it's not healthy. Clients go to website designers, they make their wish and the Wizard says; "Until I have have worked my magic, BEGONE, MORTAL!" 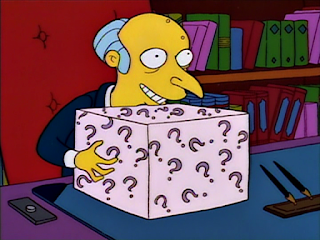 Six months later, after great time and expense, the client is presented with the Magic Box Of Mystery. "Great! How does it work!?" 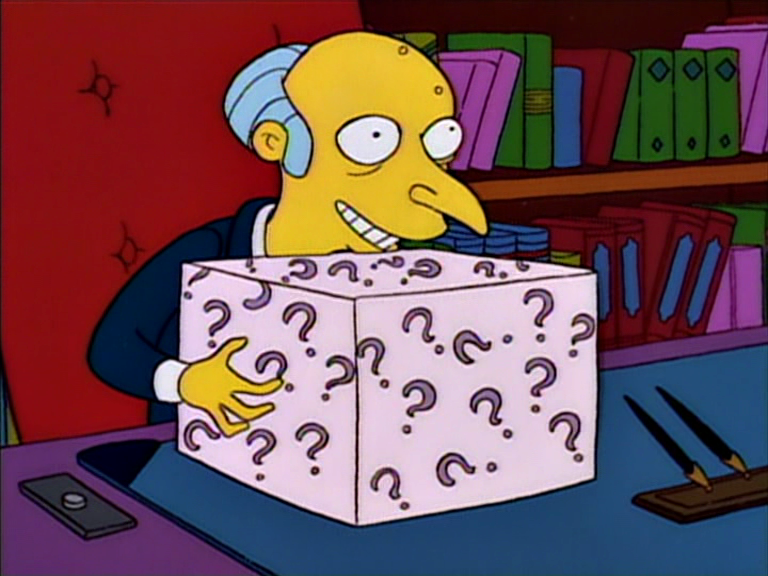 "You don't need to know, it's a magic box". Or - the job of overseeing the actual build gets left to "one of the lads in marketing, that's their kind of area". And here's the thing from the point of view of the copy/content side of things - it's often a case of budget is no object for building and designing the site, after all, Wizards and Magic Boxes don't come cheap! Seriously, if it looks really complicated, it MUST be really expensive! But words? Anybody can knock up a few sentences on a lap-top! Sure I could do that myself! It's not as if you are bringing me a Magic Box! However, think of the actual copy/content on your website this way. You go to a fancy restaurant, great decor, designer table-ware, comfy seats. But if the food is flavour-less or worse, over complicated, will you be recommending it to your friends or rushing back? What can happen is the budget (and 90% of the time and effort) gets spent on the design and the actual content is an afterthought. To torture my restaurant analogy to death - you don't spend all the money on hand-blocked wall-paper and then hire some guy off the street to grill fish-fingers. Good website design is an art. And there are some incredibly skilled people doing it. But the actual words, content, copy, the ability to create an engaging tone-of-voice and tell your story, they are just as important. Probably more important in the long-run, given the way attention spans are going. It's great to have a snazzy magic box. But you don't want your audience watching it open, only to reveal a dead rabbit inside. * Hey, thanks for reading! I work in web development and I think you're spot on that content doesn't get appreciated enough. It doesn't help that content publishers often just want to throw a lot of mud at the wall and hope that some of it will go viral. It's a lot easier to set up decent looking websites without having to consult wizards these days so hopefully content will start getting a bigger slice of the pie. Quality content that people keep coming back to is the best way to encourage long-term traffic, it doesn't happen automagically.